Easy "Samurai" experience !! You can become "Samurai" on weekdays, before and after shopping or meal. Easy access from hotels in Umeda and Namba. 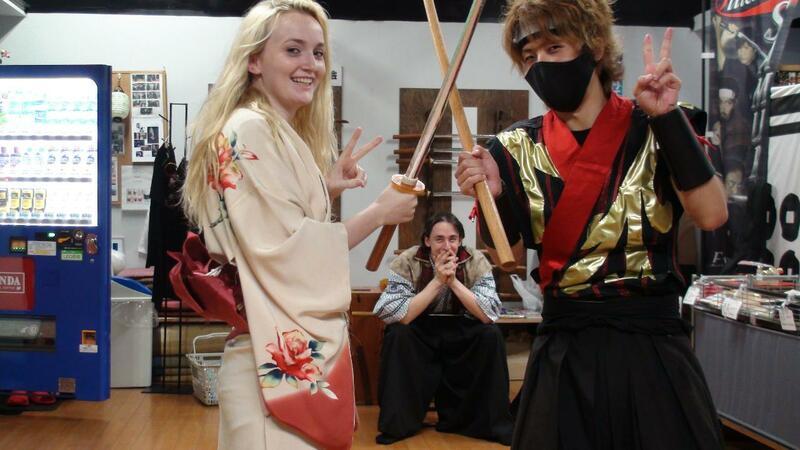 Put on Kimono, Ninja costume or armors. 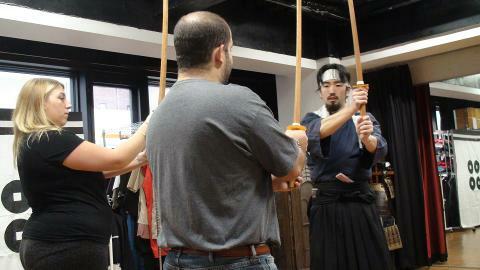 At first, we teach basis forms of Samurai. You also learn how to use sword and fight in a one-to-one situation. Finally, you will be able to perform a fighting scene of Samurai. Come with your family and friends. Single customers also welcome.Let's become "Samurai"!! Please make an advance reservation. After the deadline for reservation, please come to the building directly. 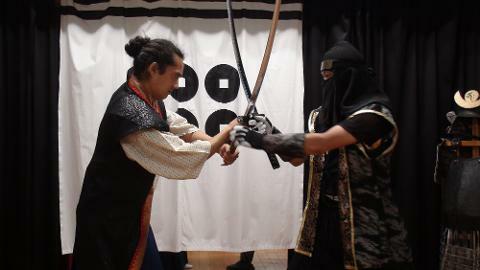 You'll become an actor or actress and perform a fighting scene of Samurai.